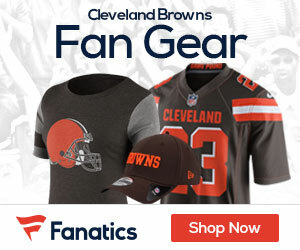 As was reported here at Brownsgab.com, Cleveland Browns cornerback Leigh Bodden went to court stemming from an incident that took place at Cleveland Hopkins International Airport. According to Marla Ridenour of the Akron Beacon-Jounal, a charge of resisting arrest against Bodden was dropped Tuesday during the second day of his jury trial in Cleveland Municipal Court. Proceedings continue and are expected to conclude today regarding Bodden’s arrest on September 5, 2007 while picking up his girlfriend and their 2 children at Cleveland Hopkins International Airport. After the prosecution rested its case after testimony from 3 Cleveland police officers, Judge Anita Laster Mays ruled that there was insufficient evidence of resisting arrest, despite the objection of the prosecutor. Bodden still faces charges of misdemeanor aggravated disorderly conduct, failure to display a drivers license and 2 traffic offenses. Bodden will be among those testifying today; if he is convicted, he could possibly face discipline from NFL commissioner Roger Goddell.